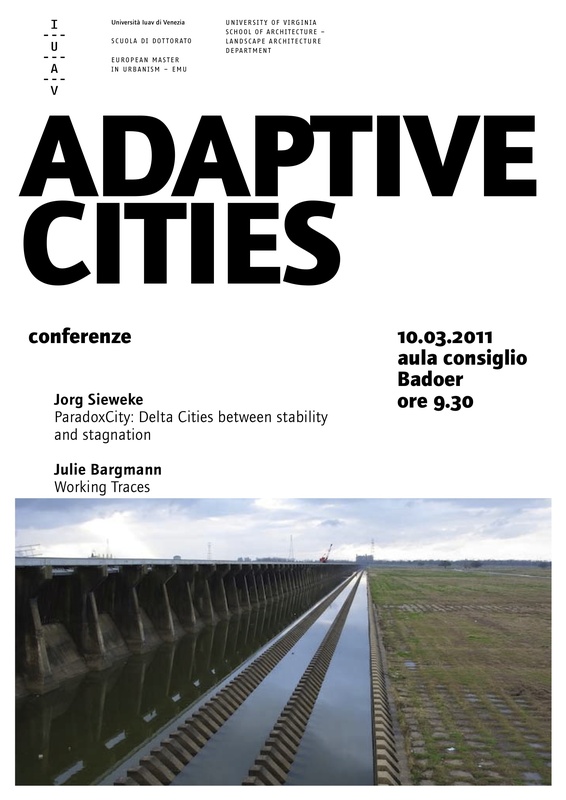 Julie Bargmann and Jorg Sieweke invited to lecture on Adaptive Cities at School of doctorate at the Venice School of architecture (IUAV) in Palazzo Badoer, March 10th. Jorg Sieweke presented the Paradoxcity research agenda with examples of the New Orleans and Baltimore Studio work. The scale of mal-adaptations in managing the Mississippi in southern Louisiana Delta are consequently threatening New Orleans today. A tradition of a territorial strategy based on resilience has been substituted and overruled by a belief in mechanical resistance. The binary stand-or-fall condition of the concrete vertical flood-wall and Caterpillar driven drainage pumps are the late proof of a mindset dominated by ignorance and neglect towards cyclical forces of natural dynamics; they will not be engineered away with more concrete and larger engines. 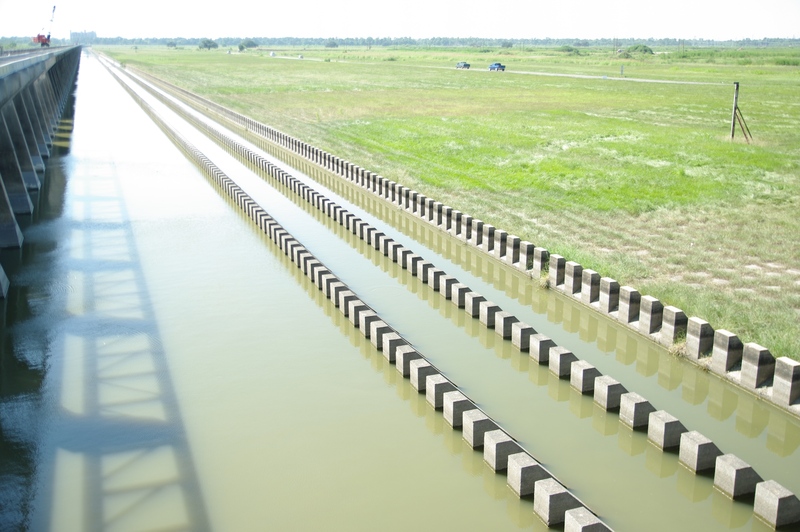 Both Baltimore and New Orleans cases provide an abstract comparisson to the future of protecting the lagoon with MOSE between stability and stagnation for the lagoon. The conversation with the PhD-Students addresses the relevance of design research at the urbanist and landscape scale in managing the adaptive capacity of cities to determine strategies of resilience or resistance. Shared interest in the work of Paola Viganò studio Extreme City were identified and discussed.